County Community College/Area Technical School theater. fighter?? song won the 2008 worldwide Songwriter Contest called ??Composers.?? seventies, like Neil Young, Kris Kristofferson and Leonhard Cohen. 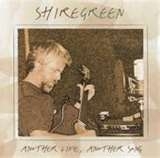 Shiregreen uses both the Harp and guitar. General admission is $3 at the door.